The Reciprocal Trade Act would give Donald Trump authority to levy tariffs equal to those of a foreign country on a particular product if that country's tariffs are determined to be significantly lower than those charged by the United States. Donald Trump today vowed to rectify "calamitous" trade policies. 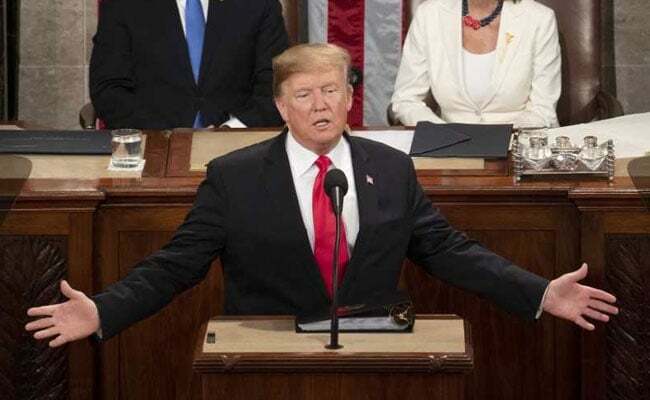 US President Donald Trump today vowed to rectify "calamitous" trade policies and sought to expand his power to impose reciprocal tariffs which could have implications on bilateral trade with countries like India. Trump, during his annual State of the Union address, told Congress that Washington's aggressive trade negotiations with China would mean an end to its alleged "theft" of US jobs and wealth. "We are now making it clear to China that after years of targeting our industries, and stealing our intellectual property, the theft of American jobs and wealth has come to an end," Trump said in his address to the joint session of the US Congress. "Therefore, we recently imposed tariffs on $250 billion of Chinese goods -- and now our treasury is receiving billions of dollars a month from a country that never gave us a dime. But I don't blame China for taking advantage of us, I blame our leaders and representatives for allowing this travesty to happen." "But it must include real, structural change to end unfair trade practices, reduce our chronic trade deficit, and protect American jobs," Trump added. "I am also asking you to pass the United States Reciprocal Trade Act, so that if another country places an unfair tariff on an American product, we can charge them the exact same tariff on the same product that they sell to us," Trump said. The United States Reciprocal Trade Act, if signed into law, could have consequences on bilateral trade with countries like India. During a White House event on the Reciprocal Trade Act in January this year, Trump flashed out a green colour board with examples of non-reciprocal tariffs from various countries, including from India. "Look at motorcycles as an example. (In) India, it was 100 per cent. I got them down to 50 per cent, just by talking for about two minutes. It''s still 50 per cent vs 2.4 per cent (on imported motorcycles to the US). Again, other than that, it''s a very fair deal," the president had said. "India has a very high tariff. They charge a lot of tariffs. You look at whisky... India gets 150 per cent, we get nothing," he had said. The Reciprocal Trade Act is likely to face an uphill fight in Congress, where many lawmakers in both parties have opposed Trump's trade policies. A bipartisan group of lawmakers introduced legislation to limit Trump's ability to use national security as a rationale for tariffs. The business community is rallying behind the bill.